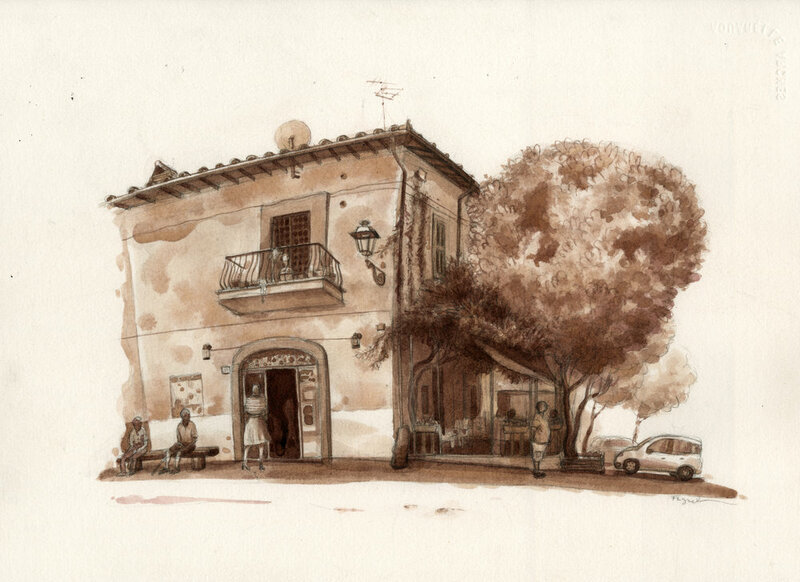 Most of my time drawing in Central Italy is spent in tiny, old, quiet towns - drawing alone. There is no doubt that my sketching excursions are quests for a quiet escape and a contrast from my busy life near Boston, Massachusetts. Stories from street-side drawing projects.